The reason why we develop this new product? 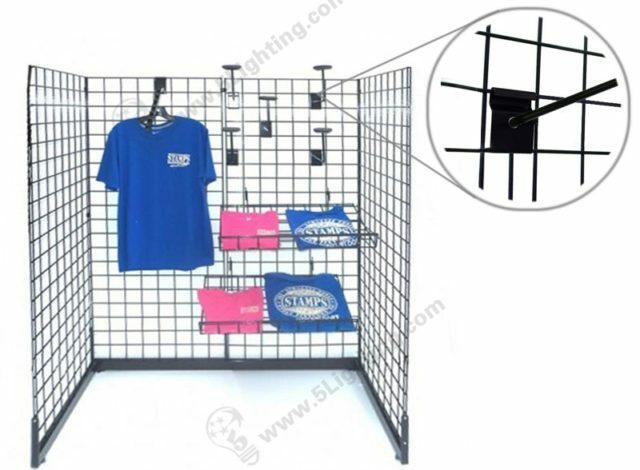 a): Wholesale gridwall display lighting featured with a unique design S shaped tail, applicable for exhibition grid wall display, grid display shelves, grid display rack, slatwall display systems etc. f): Customers can finish install our slatwall light fixtures within a few minute, it has a S shaped tail that can make itself hang on grid wall stand easily, convenient to use and has good stability without any wobble, specially fixed for exhibition grid wall display stand or slatwall display system application.